At the 2014 SCBWI LA conference, there seemed to be a fair amount of focus on the creative process and how you can better tap into your muse. Meg Rosoff (How I Live Now) http://scbwiconference.blogspot.com/2014/08/meg-rosoff-most-powerful-tool-you-have.html suggested that the secret to creativity really lies in being able to connect the unconscious with the conscious—and there’s a little passageway that moves between them. The more you use that passageway, the stronger it becomes. She didn’t mention the scientific name of that passageway, but I guess it doesn’t matter much to a writer what it’s called. It’s just getting there. I kinda think it’s like the yellow brick road. Or maybe it’s like a green mossy path that winds around. Oh, it could be a spiral in a 3-D spike that allows the thoughts to pour through. http://www.ncbi.nlm.nih.gov/pmc/articles/PMC3115302/ that are more appropriate to the lay-person, non-neuro geek. One of the theories that resonates with me is that creative people tend to be divergent as opposed to convergent thinkers. 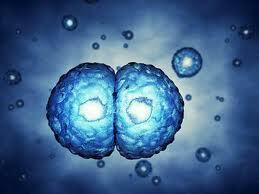 A convergent process is a series of steps that leads to a single outcome. A divergent thinker may believe there are many possible responses to an open-ended question. That’s me. I’m divergent, which is a strength and a curse. Here’s an example. My day job is spent mostly at the computer, so by the end of the work day I am tired. Walking to my car one evening, I was following a woman carrying a medium size bag of something heavy. You could tell it was heavy by the way it pulled on her arm. So I started wondering what it could be. Could she have brought several cans of soup that she needed to take home for dinner? Could it be several reams of paper that she was taking home from work? Ah, a work thief! Then my mind goes darker. Could it be a bomb? You know, one of those homemade things you can get instructions for on the internet? While I walked behind her, my mind could not stop the weird thoughts regarding this woman’s bag. I think that qualifies as divergent thinking. Not that it’s very useful or helps me to survive in any way. But endless mind noise can be entertaining. And it happened at a time when my conscious brain wasn’t in full control. The unconscious was letting itself out for a little air. Stories can go anywhere, and when they aren’t forced, they lead you to the most interesting, confounding, fun, sparkly, fresh, dark places. When your unconscious is given the reins, sit back and enjoy the ride. Oh, and don’t forget to write it down. And don’t think about it too much! 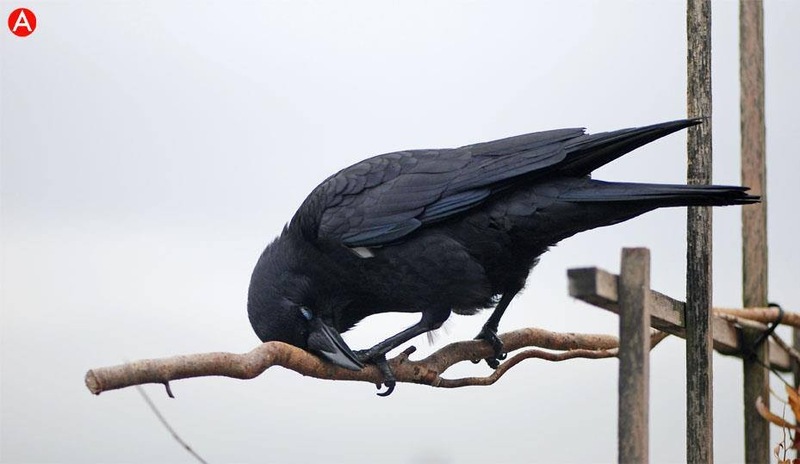 The minute you start to think about it, the unconscious hides in the nearest hole…or maybe hides up a tree, or perhaps under your bed…Sorry, it’s late at night. 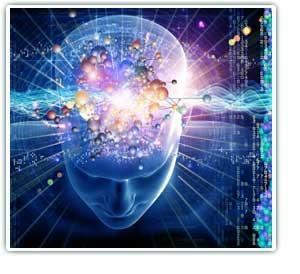 Do you have strategies for coaxing your unconscious out? I love birds. They inspire my writing. It would be no surprise to anyone who knows me that my first novel will be of winged creatures. Who doesn’t want to fly? I live in the central valley of California, one of the major migration pathways for our avian friends. I’ve put up a few bird feeders…one for hummingbirds, one for finches and another couple for general food. All this food, I buy at the local bird specialty store, to make sure I get the best, no-mess food for all these feathered friends. Which gets to the topic of this story…squirrels. So, I go back to the specialty bird seed store to see if they have a fix for the scavenging squirrels. Oh,yes… they do. A whole section of the store devoted to the bird enthusiast with a squirrel problem. All kinds of contraptions to keep the critters away from your bird feeders. Included in the exhaustive list of solutions, a plastic bowl, in all sizes that fits over your special feeder, advertised to keep the squirrels away. Oh, yes…that looks reasonable. However, the price tag, not so much. I find a smallish one that I think will work, and the helpful shop keeper tells me that this particular model doesn’t work, but the one that is twice as big, and costs twice as much ($40) will work. Okay….now why would they keep a model that doesn’t work in the store? So, I pass. $40 for a piece of plastic is not how I want to spend my money. Instead, I go to the $1 store. I find a plastic clear tray and burn two holes in it to fit on my feeder. I put my revised feeder up in it’s usual spot. Luckily for me, I do this on my day off work so I can see the squirrel response to my contraption. I look to the roof of my house and there are 5 squirrels close to the feeder, all their tails twitching and chattering to each other. They are clearly upset, running back and forth, trying out the tree next to the feeder. I have never seen a group of squirrels together on my roof, much less working cooperatively together. 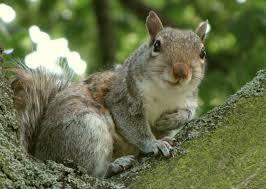 It also means, I’ve had more than one squirrel visiting my feeders…silly me, they do look alike. 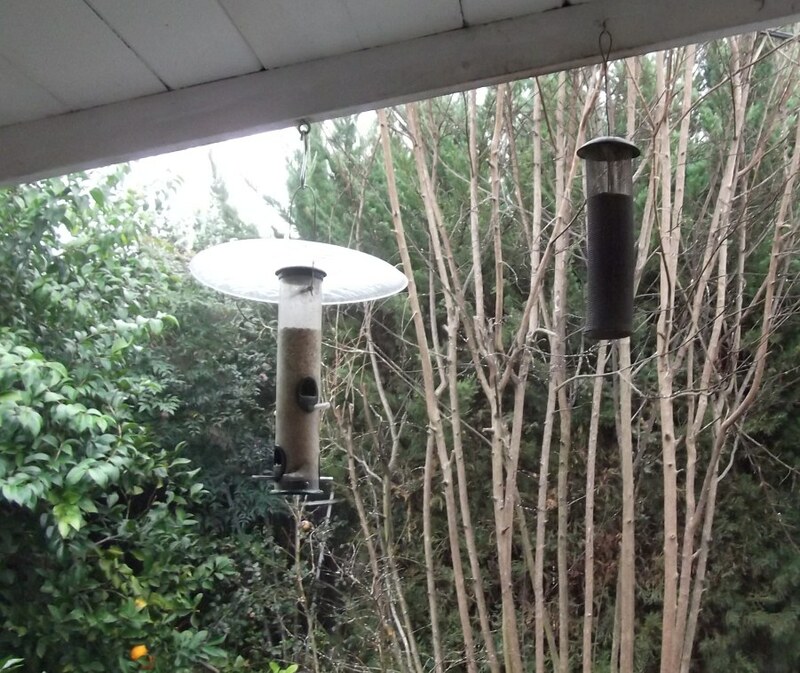 But the $1 fix seemed to work…my expensive bird food is being eaten mostly by the birds. So over the weeks, the most daring of the squirrels has found one way to get at the food. From the crepe myrtle next to the feeder, this squirrel will jump onto the feeder, knocking some of the food to the ground and then feeding off the ground. This change is clearly not in the best interest of the squirrel population. 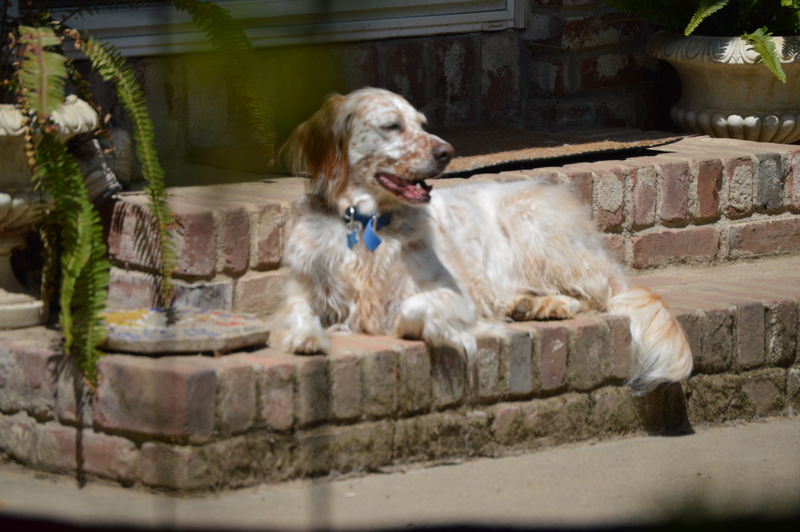 Did I mention I have English Setters? Oh, yes….now the battle between dog and squirrel is fairly even….both on the ground. Every time I open the door, the dogs go after the squirrel feeding on the ground. 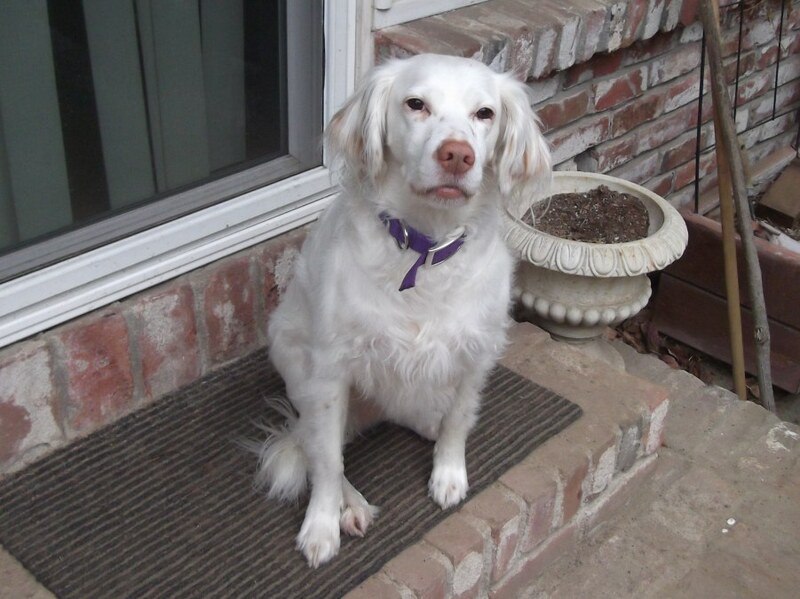 Squirrels are still pretty fast, but one of my setters is really smart. This setter, Speedy is patient, and will sit so still that after hours of waiting, some poor squirrel might not realize she’s there. Fast forward, I’m at the local coffee shop, writing my novel with a friend, I get a text from my son. “Speedy got a squirrel.” A confirmed squirrel killer x 2. But wait…she also has an accomplice. According to my son, they use the classic pincer move. Now, none of us saw the dirty deed, but as a good dog, Speedy brings the dead squirrel to our door step and drops it…waiting for praise. My son and husband bury the squirrel in the garden. Of course after all this, I’m feeling a bit guilty, cause you know squirrels are kinda cute, even with their pesky habits. But, dogs in nature will kill squirrels, so I guess that’s to be expected. Tomorrow I’ll buy a squirrel feeder I can put in the front yard, away from the English Setters. 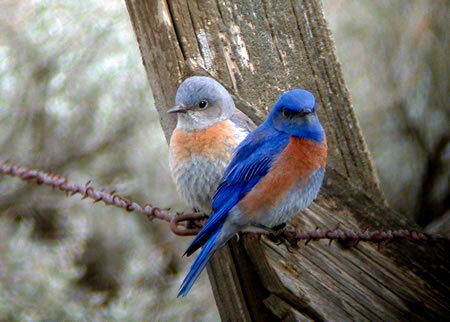 This morning as I started running up the trail to the river, a pair of Western Bluebirds crossed my path. They landed in a date palm tree close by, prompting me to stop my run and just enjoy their presence. I rarely see this bird, and always when I do, they come in pairs. A novice birder, I’m sure I wouldn’t recognize a single female with her drab brown, slightly blue tinged feathers, but the male is a stunning bright blue with an orange chest that takes center stage. Look at me! I always look to the world outside me for clues to my inner world—messages that might help me understand my life. What does seeing this bird symbolize to me? The cliché is happiness, right? Could it be a symbol of love and partnership seeing these two together? Or perhaps a message to move forward on revising my novel—a process that has been trudging along lately. As I get into my run, I think about that novel and why I write YA fiction. I attended a book signing for a group of writers that have a blog (YA Muses), and Katherine Longshore was asked why she writes YA novels. I believe she gave a number of reasons, but one really resonated with me. It’s that YA fiction is about hope. And I agree–it’s really that simple. There is a hope for the future, a hope that even though you may feel awkward and your life is difficult, there is a future that will get better. And then my mind wanders again, to this mornings paper. A recent report released by the president’s scientific advisory council that global warming is real and most of the effects will be detrimental. This is the reason running is awesome for writers, by the way—the stream of consciousness thoughts that come about when you move your body. So back to global warming–that’s kinda a duh sort of finding, right? But there are those that disagree and okay, everyone’s got a right to their opinion. But personally, I think that our encroachment on the world and its inhabitants, including those beautiful bluebirds, can’t be good. And as my mind wanders, I think about the Avians in my novel First Flight and how they are part of human’s future, and humans are part of theirs—as they come into conflict. I escape into my novel’s story and become enthused to finish it. Because, there is hope even in a fantasy novel, and that’s why I write YA fiction, and why I read it. Because we all need a little hope for a brighter future. So I’ve finished my novel. I say “finished” even though I know it won’t be finished until it’s gone through many more eyes on its way to publication, if that is its journey. I already have a few ideas of strengthening that concept I added late in the book, adding in more dialogue to strengthen the readers understanding of some key themes, spending more time with my main characters and their story…only a few things. I fully expect it to need revision if it is published. So, it’s not finished. Clearly. It’s a strange time. I haven’t even looked at the story since I sent it off…11 days ago, but who’s counting, right? Although I’m waiting on a response, I’m not worried or impatient. It will be what it will be. But this morning, I felt something else. I haven’t written in 11 days, and now my story feels far away. It’s time to start writing again, even if it’s a stream-of-consciousness exposition that would never be publishable, but tells me what happens to Janiya and Ashe, and their future…and the future of humans and Avians. Some say reading is an escape, but writers know that their stories are even a bigger escape. I walked in the sand with my son…my son who at times seemed like he was just on the brink of adulthood. It was a teacher’s conference day and we had taken off for the California coast. I was researching the Snowy Plover for my book, Ari was re-energizing (it was his junior year in high school, for god’s sake). The beach was secluded and we enjoyed the quietness of the day. I remembered all our other trips to the ocean when Ari was younger. He never feared the ocean, running at the crashing waves, his hands clenched into fists, daring the waves to touch him. Running away in a game of “tag…you’re it” with the ocean. Staying in the water until his skin was red with the cold; goose bumps covering his arms and legs. Today, he was more adult than child, and he calmly walked by the waves, not getting too wet. No fear, just at peace with the ocean and himself. As the day came to an end and we started to head back, we walked through a pile of rocks gathered in a river inlet. My eyes were drawn to one, really a rather plain rock, but smooth and somewhat flat, thinking it would skip well across the ocean. As I held it, I noticed a small hole, in the shape of a perfect heart. I don’t know how it was formed, by some mysterious sea process, but I instantly thought of my husband and our 20+ years of marriage, and our son, an almost grown man walking straight and tall beside me. I felt one of those moments of peace that has occasionally shown up in my life, when I’m awake enough to see it. 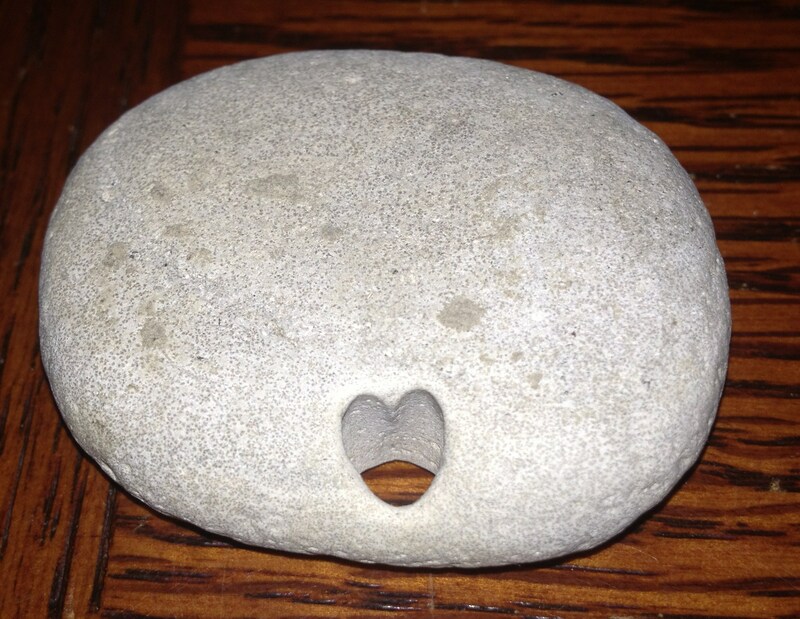 I slipped the rock into my pocket, silently thanking the sea for this gift, a symbol of the passing of time, and the recognition of the love we choose to have in our lives. WHAT…am I doing, writing a novel?? So I’ve mentioned before that I decided to write a novel. So what to write about? And how to do this? I had no idea what I was doing. I’ve written lots of non-fiction; I’m also a scientist, but non-fiction science papers are rather formulaic…Intro, Materials/Methods, Results, Discussion (boring). But without a MFA, I had no idea of the nuance of fiction writing. So, like most scientists, when you don’t know anything about what you’re doing, generally you follow one of two processes: research how others do it and/or shotgun an approach that you know works. For me, I thought about writing a book as something similar to a product. Writing a novel could be defined as a project and I know how to manage projects and know a little about product development, so that’s where I went. What’s a novel have in common with a project? 1. Creating a novel is a finite number of tasks. It has an end. At some point you will have a novel. It might be really crappy, but it’s a finished product. Same with a project/product. 2. There are phases to writing a novel: 1st draft, 2nd draft, plot revision, character development and so on. There are phases to a project: Conception/Initiation, Feasibility, Development, Validation, Commercialization. Let me describe how I’ve used these phases in my process of writing a novel. Now, I should preface…I’m in the development phase of my current, FIRST novel, so anything after that is just a guess…an educated guess, nonetheless. So, I’ll only consider conception phase for this post. Target audience: First off, I had to decide who was my reader. For me, I was a recent reader of Young Adult. I think this is because with my e-reader, I didn’t have to go into the children’s area of the bookstore to look for books. There’s wonderful YA out there to read. It’s fast-paced, easy reading and in the end, it’s generally about hope and happy endings. My son is a YA, reads YA, has YA friends, so it seemed like a good fit for me. Value of reading: Thinking of my target audience, I decided that I should understand why I read. I kinda touched a little on this (http://wp.me/p2L2zP-A), but decided to take it even further. I wrote all those reasons down…escape, warmth, emotions, belief in humanity, etc. All the themes I like in books, or the emotions I feel when reading were listed out. I don’t feel that Lou Ann is so different from anyone else that my reasons would be so different from other readers. Also, I’ve heard that write something yo u like. That made sense to me. If no one else likes your book, at least you do, right? 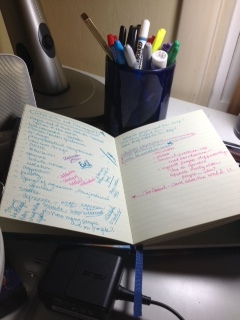 I then brainstormed my concept for this novel. I figured with my scientific background, my strength might be science fiction, so I settled on that genre. Every run I made for several weeks, I would think about the possibilities of this story. I’d write it all down, using colored pens. And then I’d look those ideas over, crossing out (dumb! ), adding in (awesome! ), adding another question…brainstorming that question, another question would rise, more answers and on and on until a concept started oozing from the primordial goo. I wrote it all down. I pasted pictures that resonated with me in my book. I still have my concept book. It’s fun to look back at all the ideas I had, and how they were distilled into something cohesive. And also nice to see how far I’ve come. (This can be especially helpful when hitting the doldrums of plot revision, rewrite and the lonely times of writing). I think creative processes come to everyone, it’s just being open to them, and of course, what you choose to do about them once they come into your life. In my concept phase, a mentor image came out of this process. That mentor is my MC’s human boyfriend’s dad…Warren. He originally started as a gollum-like creature in a cave. Now, he’s a meditation expert in Oregon, an elder leader of his tribe. So, needless to say, the process is a journey of change…lots of it! But one I totally recommend!